Swansway Group is known for its family culture and values of being caring, honest and proud. It is this that sets us apart from the rest and really defines our business and our employees. As a Swansway Group Apprentice you will be welcomed into the family with open arms and given the training, attention and support that you need, whenever you need it. With 14 brands across 25 locations, we can offer you a variety of apprenticeships from Sales and Service to Accounting and Customer Service. 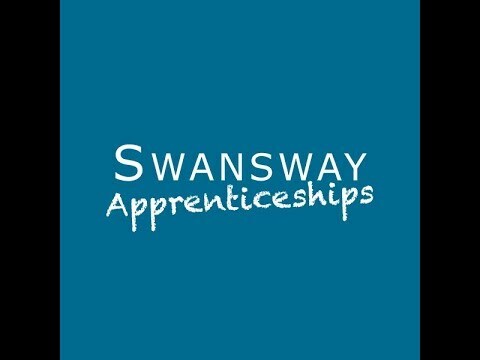 What Apprenticeships do Swansway offer? We offer Technician Apprenticeships across most of our dealerships. That means you could be working on Audi's, Volkswagen's, Volkswagen Commercial Vehicles, Fiat's, Jeep's, Peugeot's, Citroen's, Jaguar's and more! As a Technician Apprentice you will be completing training courses in a timely manner and putting your theory into practise in the workshop. You will be developing skills in all aspects of repair, service and maintenance on your way to being a qualified technician. You will be completing MOT preparations and new car preparations as well as ensuring vehicles comply with safety standards when returned to customers or that faults have been reported and noted on job cards. Our Service Advisor's are an extremely knowledgeable bunch. Don't be fooled, just because they sit behind a desk doesn't mean they don't know their vehicles inside out! What better way to learn to be a Service Advisor than by working alongside them in the dealership as an Apprentice! As a Service Advisor Apprentice you will be taking an active part in communicating with customers about service requirements and vehicle issues over the phone, email and face-to-face. This means you must be confident, approachable and have knowledge of basic computer systems. You will attend regular training at regular intervals as outlined by assessors and carry out necessary coursework that will help to develop your skills and become a product expert well versed with all features of our vehicles. ​The Parts Department's in our dealership are a busy place where organisation is key. On a daily basis, you will be picking and packing parts correctly ready for shipping out to customers and adding to job lists in a timely manner. You will assist with stock checks, creating stock locations and dealing with enquiries both internally and externally either face-to-face, over email or on the phone. You will find yourself conversing with various people across the business as you learn and you will have regular visits from an assessor to make sure all training is on track and work is being completed efficiently. At Swansway Group, we offer Accounts Apprenticeships within our dealerships or at our Head Office in Crewe, Cheshire. Our Accounts Apprentice's help to support the finance function of the dealership/group by providing and processing data to assist with meeting the company reporting targets and deadlines. A key part of the learning for an Accounts Apprentice is to maintain and understand the safe working practises and ensure compliance with the policies, processes and standards of the company. You will also be raising relevant internal paperwork such as cheque requisitions and bank reconciliations. You will be dealing with lots of people across the business as well as external parties such as banks.